I was interested to see Patrick's post of P.trifasciella mines on Lonicera last week. 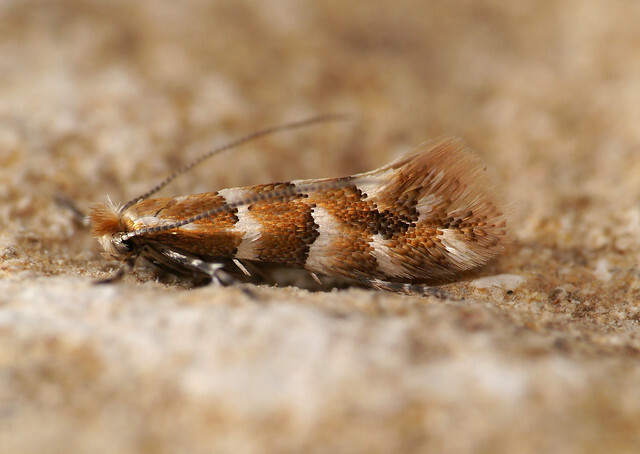 At around the same time I found that a mine of this species that I collected last autumn in the Wyre had 'hatched'. Not a particularly flashy example - some are much more dramatically marked - but nice to see none the less. Good to see. Hopefully I will manage to rear one of mine.